It sounds small, but it has enormous potential. The concept of connecting “innovation” to city government is not new—your local library has probably had wi-fi for some time now. But there’s a kind of innovation happening in cities around the world right now that doesn’t necessarily involve a single microchip. 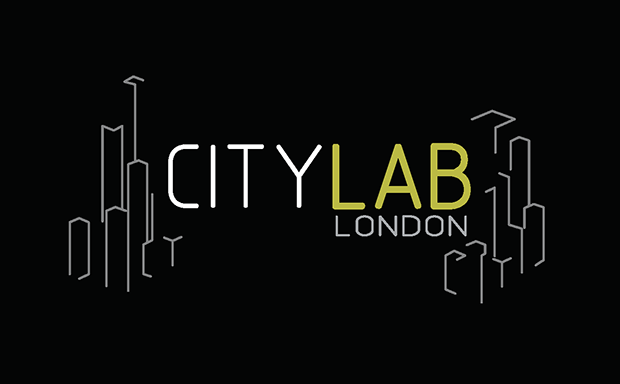 It’s one of the topics we’re most excited to talk about at next week’s CityLab 2015 conference in London. Instead of a high-tech revolution, this is an innovation in specific city procedures. That might sound small, but it has enormous potential. More and more cities are reforming the way they buy goods and services from outside vendors, with New York, Philadelphia, and Long Beach announcing new pilot projects this year. It works like this: Normally, when looking to fix a problem like old, out-of-date streetlights, most city planners would either simply ask their existing vendor for the newest model or issue a highly technical “request for proposal” impossible to comply with (or even understand) if you weren’t already in business with the city. Buying things this way yields little in the way of new ideas. So when cities transform the way they buy things, it allows them to tap the potential of the very citizens they exist to serve. And it makes city government more responsive, efficient, and cost-friendly in the process. That matters because city governments are uniquely important in how much they impact our everyday lives. They’re the government we interact with most—they oversee the roads we drive on, the schools we send our children to, and the police who guard our homes. Consider San Francisco. Just a few years ago, the city had a network of traditional “dumb” streetlights. They switched on and off at set times, could only be reset manually, and were costly to maintain and power. But instead of following traditional purchasing methods, San Francisco instead took a different approach. The city reached out proactively to the entrepreneurial community and asked for better solutions to their lighting problems. They issued the equivalent of an open technology challenge, a format typically used by foundations or universities. Instead of telling the market what thing the city wanted to buy—a new streetlight system—San Francisco focused on what problem it needed to solve, and let the market propose solutions. And instead of dozens of pages of specifications, the city initially used a single page, plain-English problem statement that asked for applicants to bring a solution to the table that could demonstrate their viability through a small-scale pilot program. What they found was a small Swiss company that helped them launch a pilot program of “smart” streetlights that were cheaper, more environmentally sound, could be remotely controlled, and even collected data on city conditions. That pilot program showed San Francisco what could happen when they looked outside the usual suspects for new solutions and inspired a much more ambitious and innovative RFP. Earlier this year the city went on to replace thousands of lightbulbs with ones that consume about half as much energy, last four to five times longer and cut the amount of glare radiating into the night sky, reducing light pollution. The new lights will be connected wirelessly to a computer network, allowing them to be monitored and controlled remotely. They will automatically alert maintenance staff if a light goes out and can be dimmed during off-peak times to save energy. Crucially, this reform produces better results not just for hard city assets, but for problems that are complex and personal. Barcelona, Spain, recently put out six challenges to improve their city. One of them asked citizens for their best ideas to combat social isolation for the elderly. The winner was an online platform collecting all of the people involved in an aged person’s life—from family and friends to health professionals and social service workers—to coordinate their efforts and schedules. The result has been older individuals receiving more care and attention than ever before. Right now, these cities remain the exception rather than the rule. When we helped conduct a study of 54 major cities for the Agile Cities Initiative, we found that only 10 percent of decision-makers in city governments said they trust information from new vendors. Meanwhile, 67 percent reported relying on their networks of informal contacts when looking for service providers. The business community knows this, as a 2009 McKinsey & Company study noted. Potential new vendors with innovative solutions rarely bother to apply for city contracts, assuming that the game is rigged and the winner pre-selected. Reform to city purchasing processes can change that—and can change life in cities today. Across the United States, cities collectively spend more than one trillion dollars on goods and services. Finding smarter streetlights is just one of the many choices we have that can deliver better results on our spending. The same improvements can be attained in almost all areas—transport, support for the disabled, air quality, education, water management. Even a small improvement in how that money is spent could have a huge impact. That’s the measure of innovation. Sascha Haselmayer is the CEO of Citymart, which helps cities strengthen their ability to solve problems through innovation. Julia was part of the founding team of Citymart and currently is the Principal leading Citymart in the U.S.